An exciting opportunity has arisen for a part-time band 7 Therapy coordinator at The Princess Royal Hospital in Telford. We are looking for an experienced Occupational Therapist or Physiotherapist to job share together with our current Therapy Coordinator. The role involves management of Physiotherapy and Occupational Therapy staff and service delivery as a highly specialist clinician, across the inpatient areas of acute medicine, orthopaedics, ED, critical care and paediatrics. The successful candidate will be responsible for the coordination of staff to ensure services are covered across 7 days. Roles and responsibilities include management of leave, sickness, recruitment and weekend rotas. 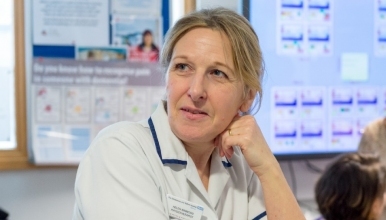 Driving forward strategy and working closely with the Therapy Operational Manager, Inpatient Manager and Head of Profession are also essential components of this role to ensure patients receive best possible care. The position is for 15 hours a week across 7 days and will need to be worked across Thursdays and Fridays with the potential for some hours to be worked on a Wednesday to overlap with the current coordinator. At weekends the successful candidate will work as part of our weekend rota providing services to either our patient progression or respiratory rota dependent on profession. Hours worked at a weekend will be in lieu of hours worked during the week. If the successful candidate is a Physiotherapist they will also be required to participate in the Physiotherapy respiratory on-call rota. Leadership is an integral part of this role and the successful candidate must be approachable, have the ability to communicate well both during 1:1 meetings and to large groups of staff often about topics that are emotive and involve facilitation of change. We have a strong drive for personal and professional development and a key responsibility of this role is to ensure staff with your team have access to regular CPD, supervision, appraisals and training, and compliance with the trusts mandatory training is achieved.